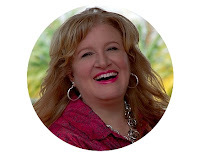 This past week I was reading Seth Godin's blog post about the fact that one random blog post might be a reader's first and only impression of you -- ever. It resonated a lot with me because in life -- not just in blogging -- this reality pretty much haunts me every day. Years ago there were fifteen guests from out of town who were visiting our church here in Florida. It would be the one and only time most of them would ever be here. I had some advance notice that they were flying in. Needless to say I wanted things to not just be smooth-- the goal was for them to be stellar. I let this be known in advance and on that week of all weeks, a major player let us down and was not there. It was too late for me to even do anything about it although I knocked myself out trying. I couldn't hire someone to replace them -- and there was no possible solution other than to have it be a glaring omission. Finally I just took a deep breath, sucked it up and made it through the weekend. I wondered back then if I would one day laugh about it or say, "man, what was I so upset over back then?" Answer: no, and no. Whenever the thought comes to my mind about that weekend I feel a deep sense of regret. They didn't get the accurate impression of what things were otherwise like on a normal weekend, and unfortunately it won't be possible for them to ever come back and get an accurate experience . Nothing I could say would adequately describe or explain what they missed. We only had one chance to make a first impression. Seth Godin says, "one interaction might be the whole thing." Yup. He's right. I know there are not only pastors who read my blog, but church members from Seattle to Singapore and to you I say...the next time you think it's no big deal that you didn't show up one week to be a greeter when you were scheduled, or to work in the nursery when it was your day, or to sing on the frontline when you were supposed to, or to fix the coffee before Christian Education classes, or play the keyboard, or park cars, or do the media with excellence or WHATEVER...keep in mind that the visitor sitting in your church this week may never walk in the doors again. You've got one shot in many cases...one interaction IS possibly the whole thing, so make it count. It really matters. 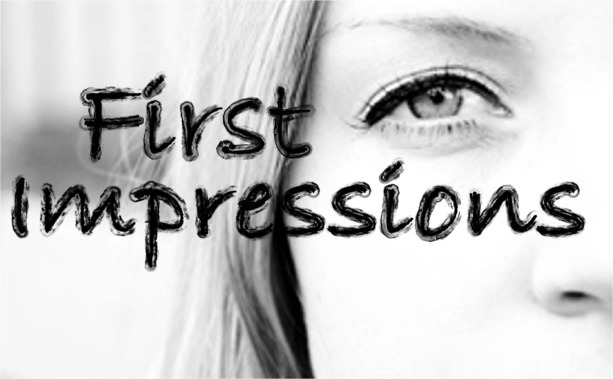 For those who say, "Why worry about first impressions? We're gathered for JESUS." That proves my point even MORE. A to the M to the E-N!!!!!!! At first I was reluctant to agree with you. Yes, first impressions matter, and you don't get a 2nd chance, but God works through all things. But having thought about it a bit longer, I realised you were right. It does matter. We can't rest easy and hope God will fill in the gaps. He can and He does, but we shouldn't expect that. We should give our ALL at all times. Thanks Lynda for thinking that through a little more. I appreciate your pondering this. I believe it's a shame that workers at Disney or the servers at a restaurant often give more thought to what a guest experiences than we in the church do. We have the most amazing thing in the world to tell them about -- the gospel of Jesus Christ, and to do it in a shoddy manner is just wrong. Our former district superintendent that we served under, Dr. H. Robert Rhoden, who is a wonderful man, often said, "Holy shoddy is still shoddy." We in the church should be giving MORE attention to what we do than anyone at Disney or Microsoft or Apple, Hyatt, or Carrabbas!!! We are representing Jesus Christ and to me that's a very, very big deal. Thanks for your input. Love you gals.